Neil Patrick Harris is one of those things in life that everyone with a shred of humanity should love unabashedly, like The Shawshank Redemption or pie. But here’s a thing you might not know about NPH: he’s got puppets in the brain. Or on the brain. There are puppets and there is his brain, and both of them are sort of mixed up like a casserole, is what I’m trying to say. Your average Joe or Jane with puppets on the brain would consult their physician, be diagnosed with a brain tumor, and start making their bucket list. Neil Patrick Harris skipped all that stupid in-between stuff and instead decided to make a web series about how he has puppets on the brain. You don’t normally think of Russian government officials having a keen sense of humor, but this video interview of Prime Minister Dmitry Medvedev talking about the top secret files his country keeps on alien visitors might just change your opinion on this topic. 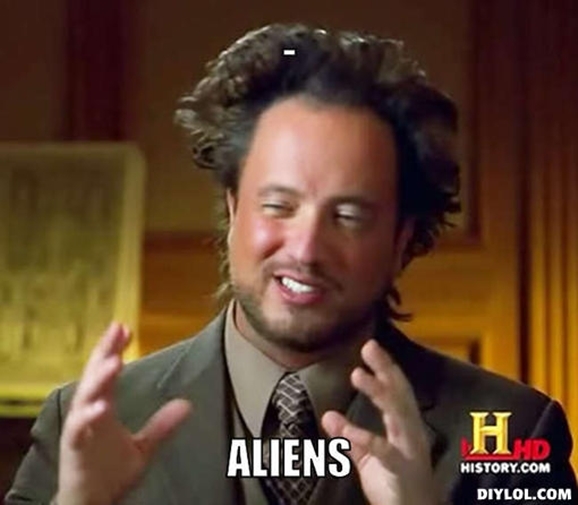 If only finding extraterrestrial life were as easy as just sending out an intergalactic census, or being able to see the metaphorical smokestacks signifying an industrious civilization. So far, radio waves and rover searches have provided little solid information that intelligent life is out there, though the ever-growing number of found exoplanets, along with other discoveries — such as water on Mercury — seem to make the possibility more likely. Another source of detection may soon enter the playing field. With Halloween falling in the middle of the week, it shoots a lot of people’s party plans right in the foot. Many folks took to the streets this past weekend to get a little crazy and indulge their geekiest costume fantasies. 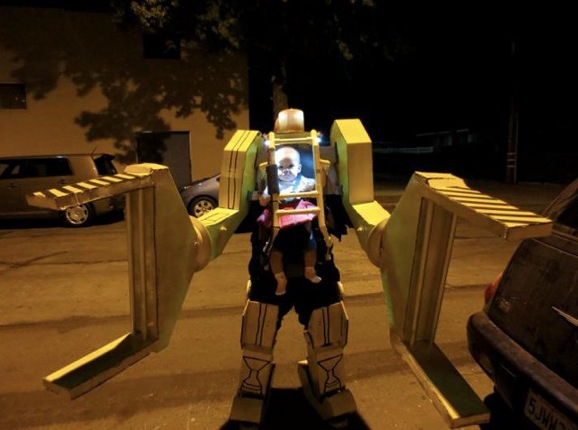 And few people got quite as geeky as one father-daughter team that dressed up in a combination costume of the Power Loader from Aliens. Should These Be The Pictures We Leave To Explain Humanity To The Aliens? One of the reasons I like science fiction so much is that it is often inherently optimistic. That doesn’t mean its predictions are all rainbows and hover cars, but even at its most dystopian, SF usually envisions a future where humanity, in some form, survives and carries on. That’s an important viewpoint in a world that sometimes feels like it’s spiraling out of control. But let’s take the pessimists view for a moment. What if we don’t make it? 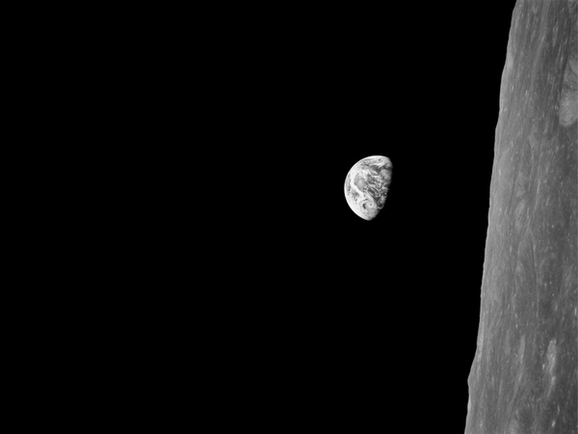 If humanity does someday meet its end, what should we leave behind to tell our story to any galactic neighbors who happen upon the remains of our civilization? In more recent times, the designers have gone to great lengths to make Barbie accessible to a wider range of young girls, more “real” if you will. Well, it doesn’t get more real than Ripley (Sigourney Weaver) wearing the exosuit cargo-loader, fighting the queen in Aliens. 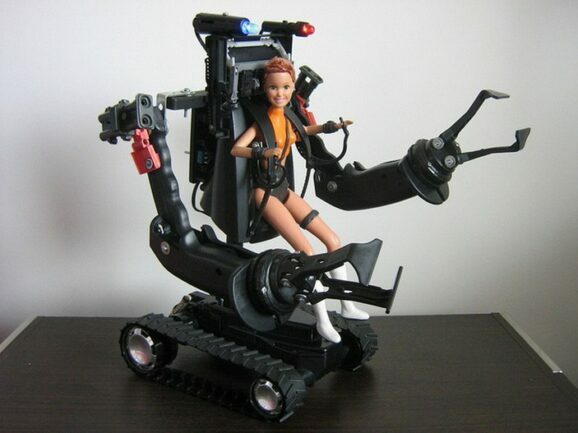 And haven’t you always wondered what it might look like if Barbie stood in for Ripley?